The city of Anniston in Calhoun County, Alabama has been involved in some of the country’s most historic events. The city’s iron furnaces on which the industry relied, were destroyed by the Union cavalry during the American Civil War. The US Army set up training camps nearby during WWI and WWII, and during the Civil Rights Movement, a life-changing event took place within the city. All of this can be explored in the streets, parks and museums of Anniston and its surrounding areas. 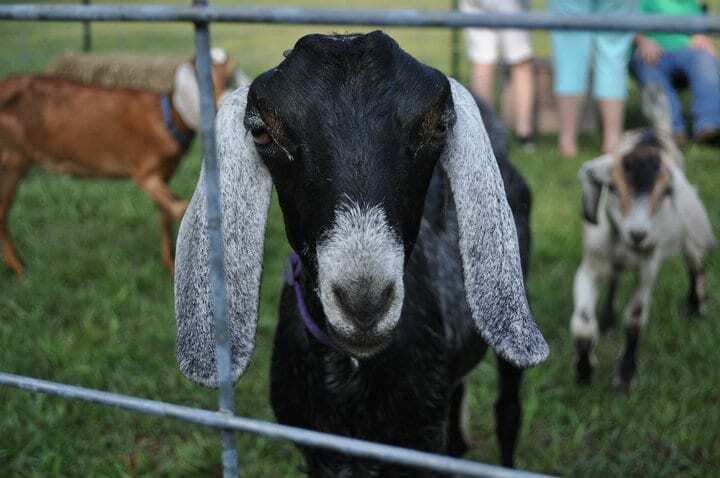 There are plenty of outdoor activities to enjoy too, from hiking and mountain biking to wine tasting and tubing, so if you are touring Alabama, don’t just pass through Anniston, take a break and stay a while. When H. Severn Regar moved to Anniston from the eastern seaboard, he offered artefacts and specimens from his beloved private collection to his new home town, on the condition that the city paid the shipping costs to move them! 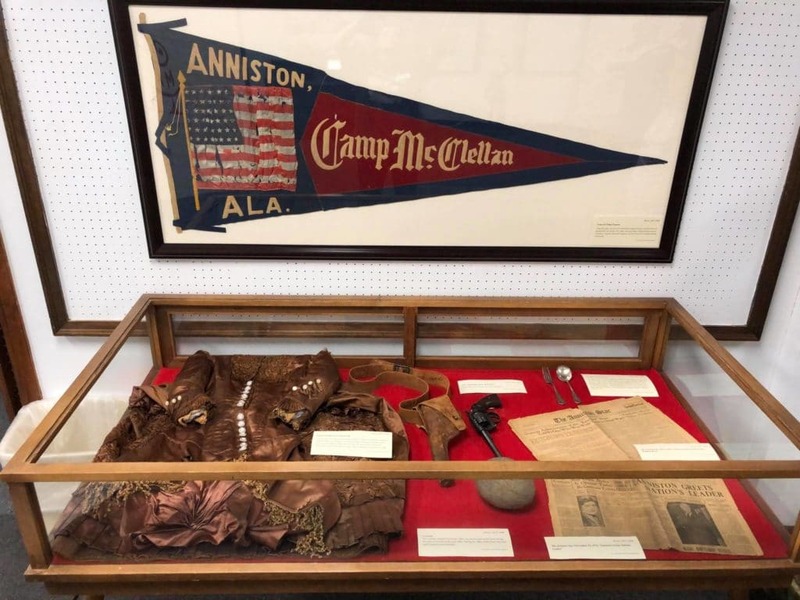 The citizens of Anniston, warming to the idea of a museum, decided to help out raising money to bring the collection south. Thanks to them, you can now explore over 2,000 natural history items and diorama-style exhibits which span centuries. The museum’s seven exhibit halls each take on a different theme. You can explore Africa Hall which contains a collection of over 100 animals in natural settings, or venture to Dynamic Earth Room with gemstones, rock formations, fossils and dinosaurs. Highlights of the museum include 2,000-year-old Egyptian mummies, a selection of open-air exhibits and wildlife gardens. 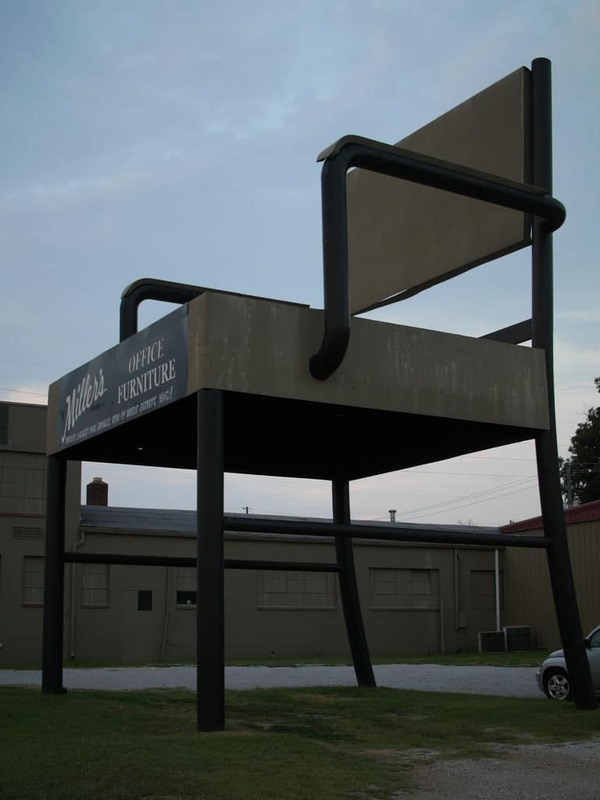 Many people don’t realise that Anniston was once a world record holder – for the ‘World’s Largest Chair’! Built by Miller’s Office Furniture Store in 1981 as an advertisement for the store, the huge structure is set next to the roadside. It is a towering 31 feet tall and can withstand heavy winds of up to 85 miles per hour. Constructed from ten tons of steel, the tall chair which can be seen from across the city. With over 9,000 acres of parkland, the wildlife preserve was named after the dwindling mountain longleaf pine tree forests which are scattered across the southern states. Located on the site of Fort McClellan former army base, the park forms part of the Blue Ridge and Appalachian Mountain ranges. It’s a perfect place for a hike, picnic or cycle, and hosts a variety of flora, fauna and birdlife, so don’t forget your binoculars. You could be fortunate enough to see the endangered white-fringeless orchid, Black-throated Green Warblers, Scarlet Tanagers and Bachman’s Sparrows. Oxford Lake is a popular recreational area for family and friends, located 5 miles south of Anniston. With a range of activities, walking trails, picnic pavilions and playgrounds, it’s a great place to relax and enjoy the scenery. 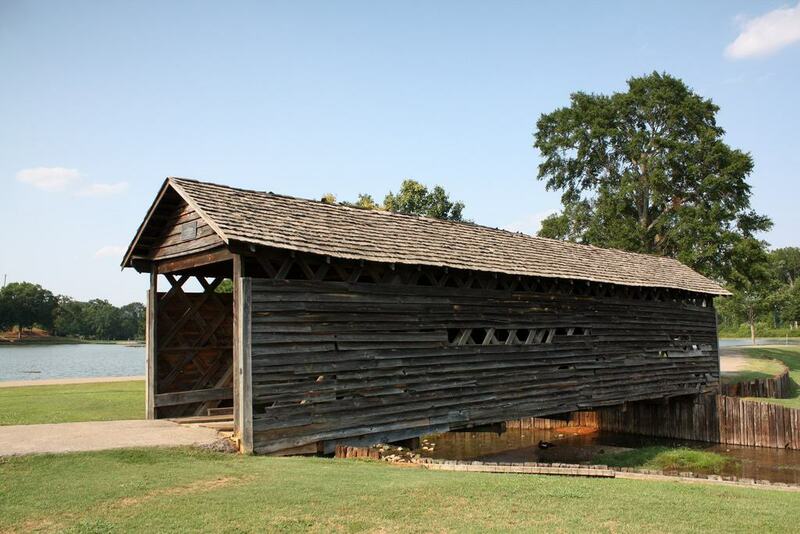 The park surrounding the lake, is also home to the oldest covered bridge in the state. Coldwater Covered Bridge is an historical landmark dating back to 1850. Sit back, enjoy a cool beverage and take in the tranquil scenery of the lake, alternatively, walk the hiking trail and immerse yourself in abundant nature. Coldwater Mountain encompasses 4,183-acres of woodland and mountainous terrain, perfect for mountain biking. 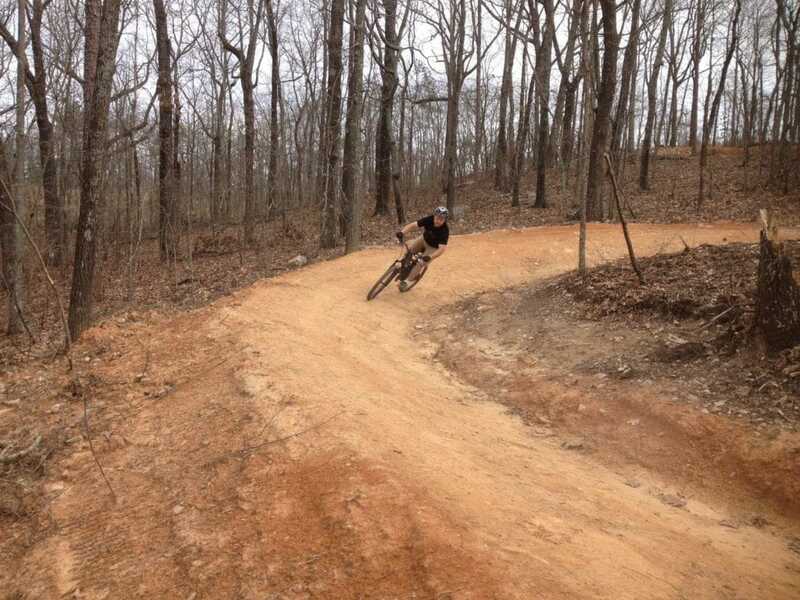 Located just outside Anniston, Alabama, beginners and seasoned cyclists can choose from a variety of trails to suit their levels of expertise. From short and easy loops to fast descents and gravity trails, the terrain can be simple or challenging. If you don’t have your mountain bike with you, you don’t have to miss out on the incredible scenery. Put on your hiking boots, pop a picnic in your backpack and walk these spectacular trails instead! If you enjoy exploring all things spooky and paranormal, pay a visit to Hell’s Gate Bridge just outside Oxford, Alabama. 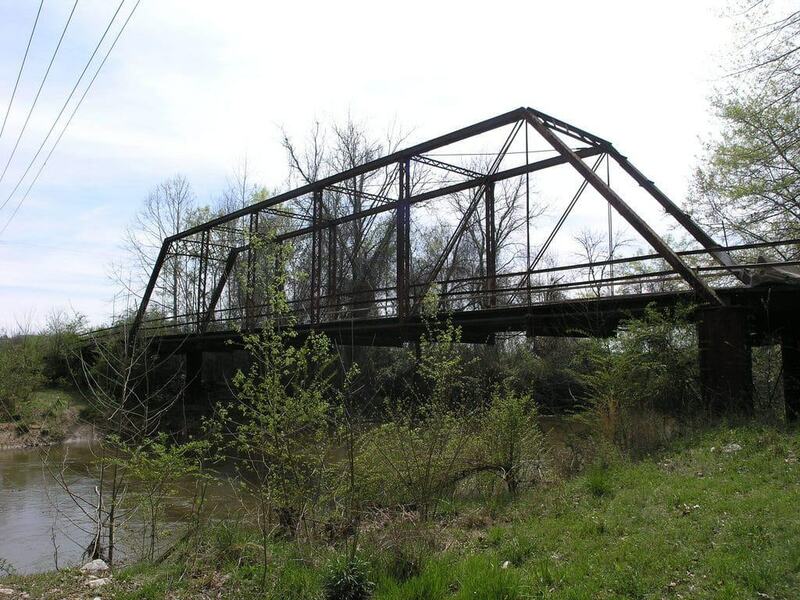 Known as the ‘Most Haunted Bridge in Alabama’, this creepy steel and wooden bridge is akin to something you would find on the set of a horror movie. The bridge is said to be haunted because of a local legend. In the 1950s a young couple were driving and careered off the bridge plunging into the water below. Locals say that if you stop on the bridge and turn off the lights at night, the couple will get into your car with you to continue their journey. Spooky stuff? Or the product of a vivid imagination? You decide. You can’t visit Alabama and not sample some of the local delicacies. Fortunately, the Southeast’s largest catfish and seafood restaurant is located in Anniston! Serving freshly caught and prepared produce, seasoned with their own secret recipes, you could soon be tasting the Largest Seafood Platter in the World, Creole Boiled Shrimp Dinner, or a whole fried Catfish! Don’t worry if you don’t like eating fish, there’s baby back ribs dipped in mouth-watering barbecue glaze, or a selection of scrumptious chicken dishes too. 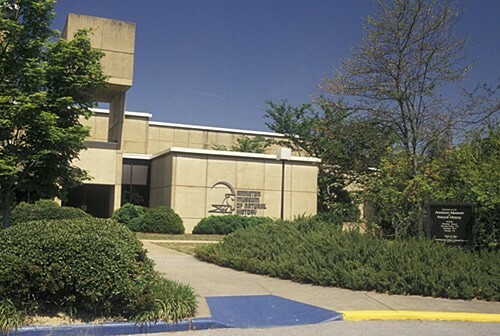 The fascinating Berman Museum in Anniston was started by an American GI, who was stationed in North Africa during the Second World War. During his tour, the man, Farley Berman, met a French spy who later became his wife. During their travels together, they collected weaponry, antiques and over 6,000 bizarre items from all over the world. These artefacts include Hitler’s silver tea service, a bullet firing flute, and a James Bond style ink pen which fires a .22! If you wish to delve a little deeper into the museum archives, schedule a tour and step behind the scenes to discover an intriguing selection of medieval and cold-war weaponry. In 1955, in Montgomery, Alabama, an African-American woman, Rosa Parks stood up for her rights when instructed to relinquish her bus seat for a white passenger. The incident reverberated throughout the USA and thus began the Civil Rights Movement. Years later in early 1961, the US Supreme Court voted that segregated public buses were ‘unconstitutional’ and that this practice should cease. However, the southern states had other ideas, ignoring the ruling and enforcing segregation on public transport further. 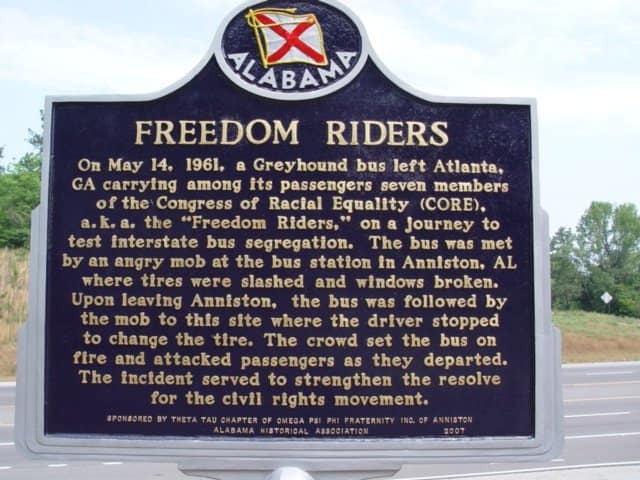 The Freedom Riders – a group of multi-racial Civil Rights Activists, would drive buses into cities to try to facilitate change across southern states. However, on May 14th, 1961, the KKK attacked a Greyhound Bus in Anniston with a firebomb. The Klan held the doors shut so passengers could not escape for several minutes. The image of the ‘Burning Bus’ was broadcast throughout the world, but it shocked citizens of Anniston the most. They began to bring about change, working together for peaceful desegregation. This is shown in Freedom Riders Park today, with artwork, stories and photographs which show how one event caused a city to come together as one. Zinn Park is located in the heart of Downtown Anniston. It’s a great place for a family day out, with pavilions, jogging and walking pathways and even a fun splash pad for the kids. Martin Luther King Jr. Pavilion hosts a range of events and concerts throughout the year which visitors can enjoy alongside locals. There’s also a playground which is adapted for children with disabilities which means nobody needs to be left out. The state of Alabama produces delicious fine wines, and if you’re in Anniston you can sample a few of them at White Oak Vineyards. 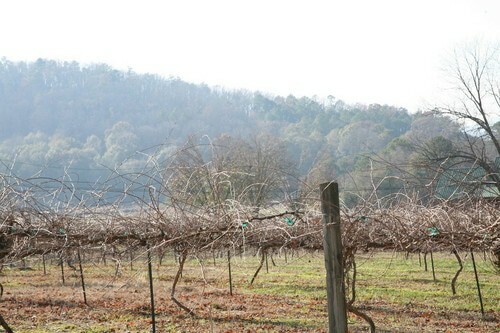 Nestled in scenic rolling hills, the winery offers a vast selection of French hybrid red and white wines and southern fruit and Muscadine wines. Muscadine is a wine made solely from American grape varieties, as the grapes have low sugar content, the wine has sugar added, making this a sweet drink and a superb dessert wine. 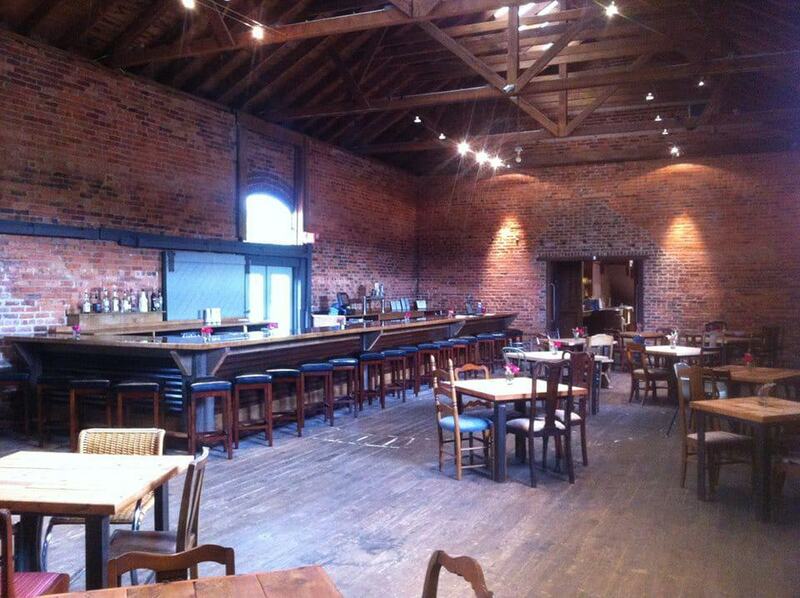 Visitors can sample the different wines, pick up a bottle or two, and browse juices, jellies and jams at the farm shop. In the heart of Downtown Anniston close to Zinn Park is Cheaha Brewing Company. If you’re looking for locally brewed craft beer, or fancy good old fashioned southern cuisine, this is the place to be. With a menu suitable for both carnivores and vegetarians, you can please everyone here. Try the Baked Oysters in Cajun or Lemon Butter Sauce, or tuck into a stacked Pimento Cheeseburger, then wash it down with a craft beer. The bar/restaurant hosts entertainment too, most evenings there’s live music sure to get everyone’s feet tapping. 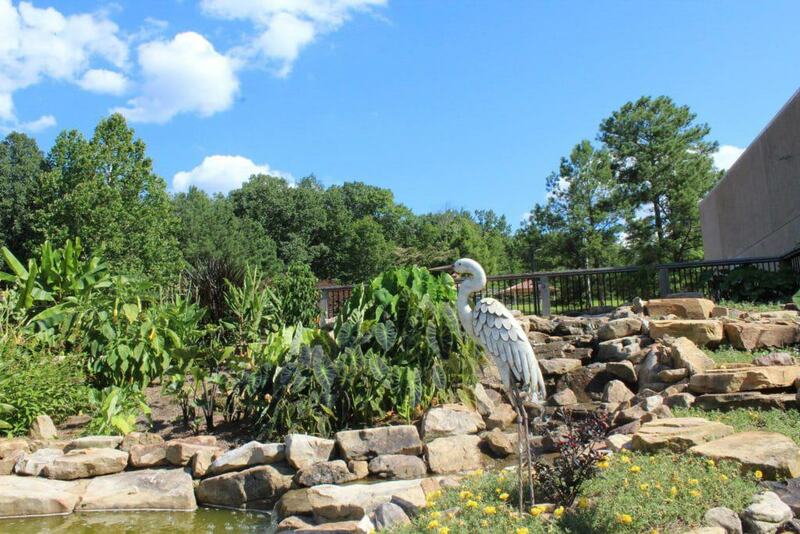 Located next to Anniston Museum of Natural History and Berman Museum are the picturesque Longleaf Botanical Gardens. This is a great place to relax and reminisce following a morning at the museums. The gardens feature tropical cascades, and borders filled with a kaleidoscope of coloured flowers and plants. There’s a specially dedicated section for butterflies and hummingbirds, and even a garden for plants which thrive solely in central Alabama. The Longleaf Nature Trail shouldn’t be overlooked either, you can spot over 25 native tree species as you walk through shaded woodlands sprinkled with fragrant azaleas and hydrangeas. 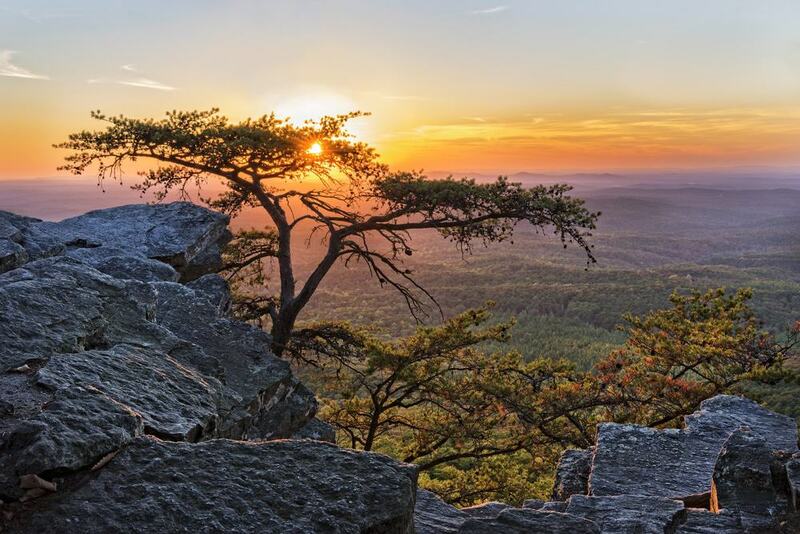 At 2,407 feet above sea level Cheaha State Park is a treat for lovers of nature. With spectacular views of lakes, mountains and spectacular sunsets, it’s a place no visitor to Alabama should miss. 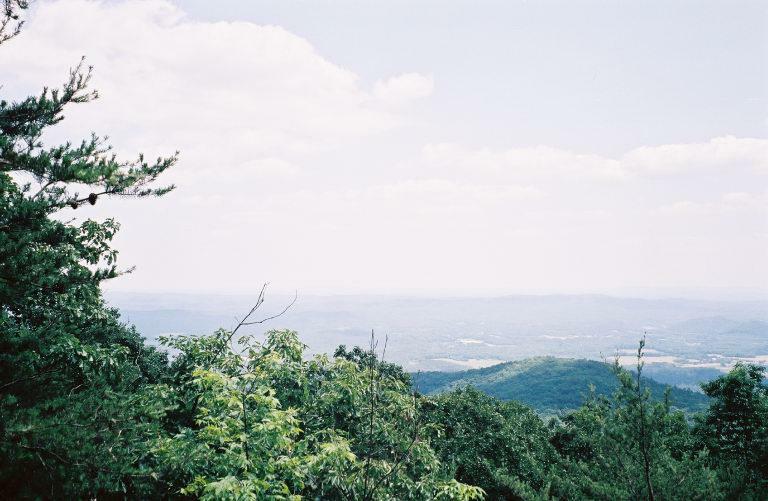 Arrive early and stop for buffet breakfast at Vista Cliffside Restaurant with panoramic valley views of Talladega National Forest, then when you are suitably nourished, set out on one of the area’s hiking or biking trails. If you feel up to it, visit the high point at Cheaha Mountain. With a bunker tower and observation deck, it’s the perfect place for photography. 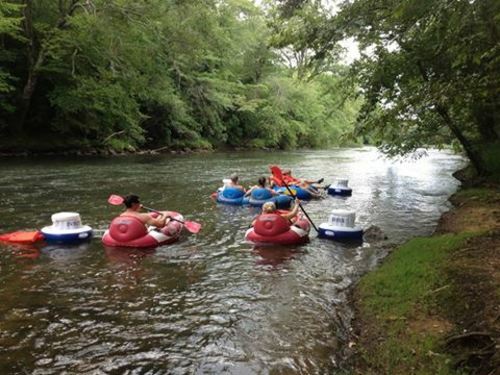 Enjoy a leisurely day tubing on nearby Choccolocco Creek. If you enjoy watching the world drift by from the water, you can spend a few hours floating lazily along scenic river banks. Bring family, bring friends, pop on your life jacket and you’re good to go! This lazy river floating experience is perfect if you have spent a few day’s sightseeing in the area and just want time to kick back, relax and do nothing but float and admire the scenery.